I would like to know more. Who can help? With the help of a reader of this blog, Andrei from Russia, I was finally able to find some information. Andrei translated the text on the back-cover and slowly the pieces of the puzzle came together. Thank you very much, Andrei! “The leader of the Noroc ensemble, Composer Mihai Dolgan died on Sunday two days after his 67th birthday. Dolgan died in the hospital, suffering from an incurable disease. He was born on March 14, 1942 in the Vladimiresti village of the Singerei village. In 1944 all his family was deported to Siberia. He came back to Moldova in 1957. 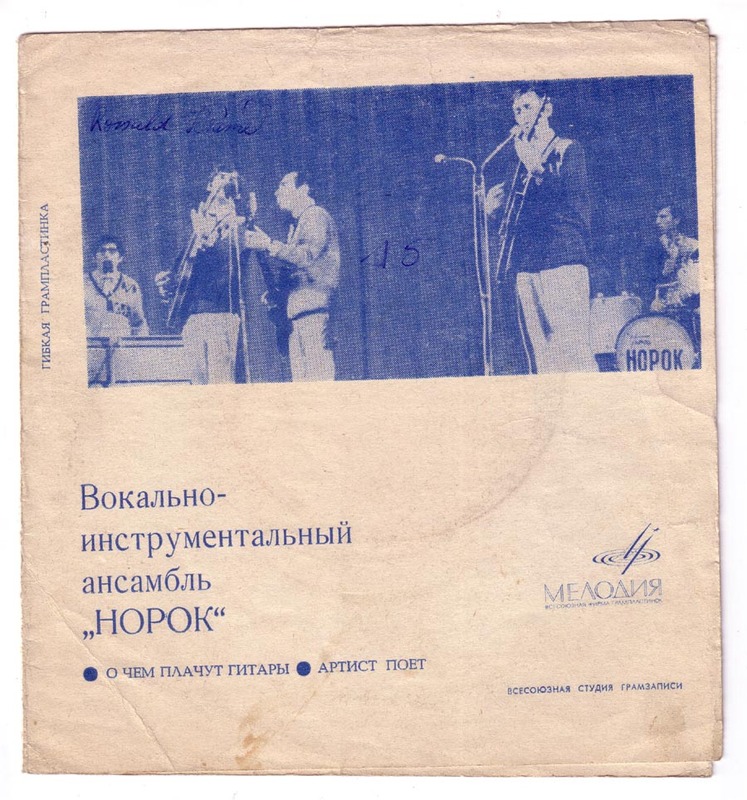 In 1967 Mihai Dolgan set up the Noroc ensemble, which became one of the most famous in the USSR. 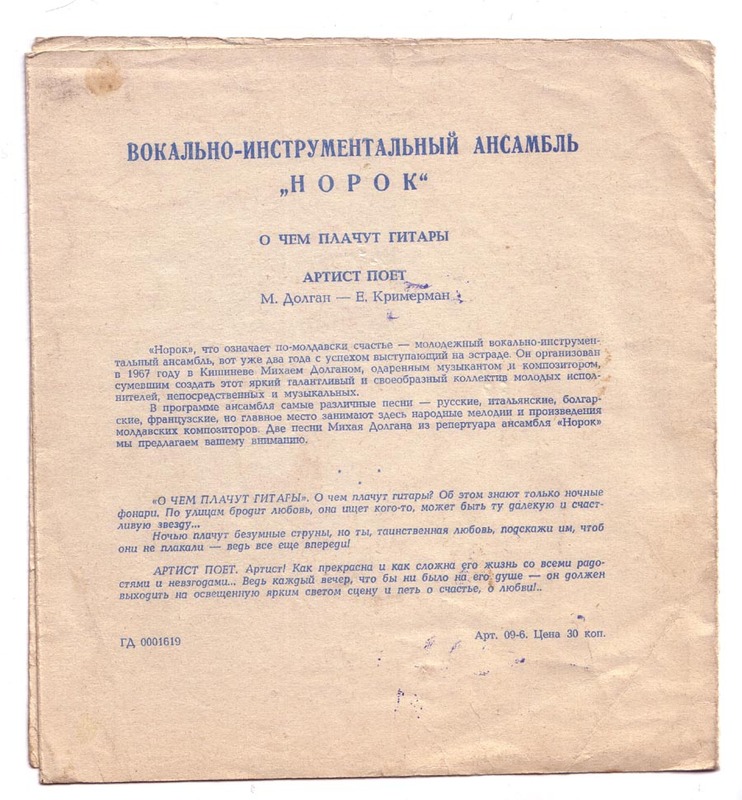 In 1970 the Ministry of Culture of the MSSR banned the ensemble and it returned onto the stage only in 1988. Mihai Dolgan is the author of about a hundred compositions, which became hits. 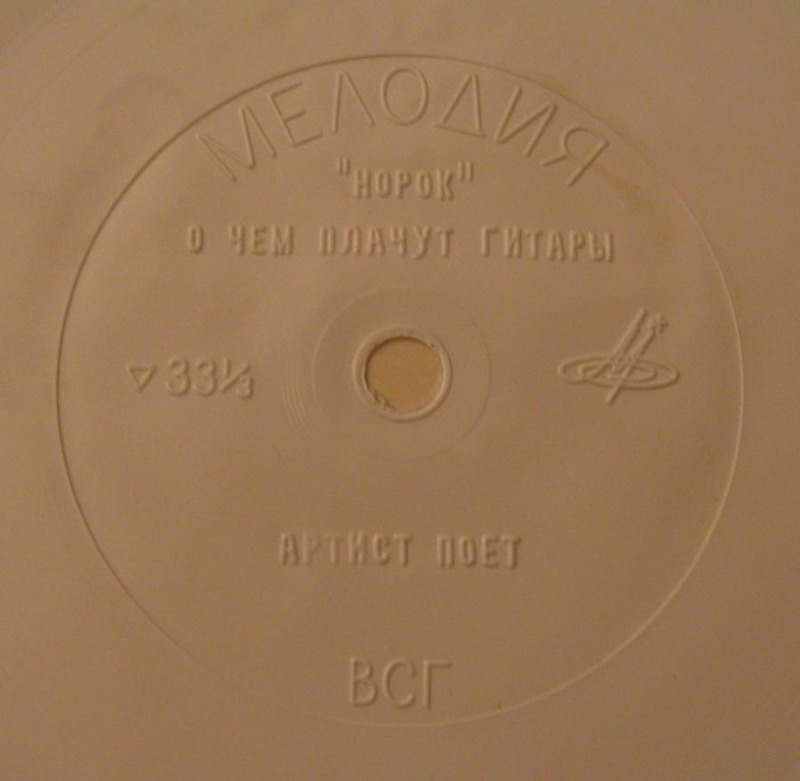 In 1988 Dolgan became People’s Artist and in 2001 the highest state award- the Order of the Republic was conferred on him.On Tuesday those, who like his creative works, will be able to bid last farewell to him in the National Palace”. How sad to find out that the singer of these songs that I had just discovered had died last month. Here are two videos in memory of Mihai Dolgan from Moldovan Television.